From the AAALetter Editor—Overview by Fabiola Ehlers-Zavala: Welcome to the Fall issue of the AAAletter! In this issue, our President Linda Harklau discusses challenges and opportunities for AAAL, and introduces new initiatives members of Executive Committee (EC) and others are working on! Our 1st VP and Conference Chair, Laura Collins, offers a pre-view of the upcoming AAAL conference in Atlanta. Read More. From the President—Linda Harklau: Happy new academic year to those of us in North America and Europe, and I hope the year is going well for those of you in other parts of the world. Read More. Mark the dates – AAAL 2019 will take place from March 9 – 12, 2019, at the Sheraton Atlanta Hotel, in Atlanta Georgia. While we intend to keep you quite busy with all the events we are planning for the conference, the city of Atlanta offers you many culinary, cultural, and leisure activities to enjoy. Read More. 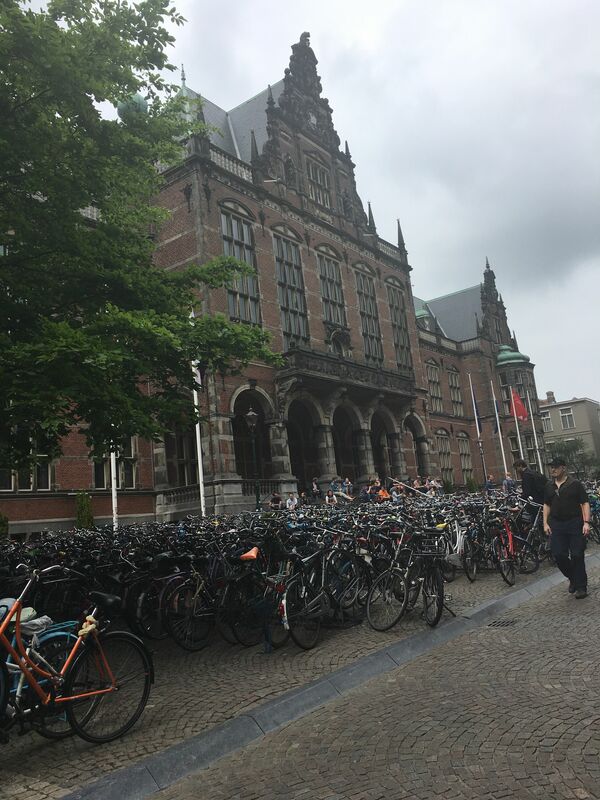 From the Secretary—AILA Update by Fabiola Ehlers-Zavala: This year’s AILA Executive Board and International Committee Members (AILA EBIC) took place in Groningen, on June 3-4, and being AAAL Secretary, I had the opportunity to represent our organization at those meetings. Read More. From the Secretary—AAAL Election Results by Fabiola Ehlers-Zavala: Many thanks go to everyone who contributes to the AAAL election process (Chair, Committee, staff, and voting members!). Read More. From ARAL: Updates from the Annual Review of Applied Linguistics (ARAL). Read More. From the Graduate Student Council (GSC): Each year AAAL confers awards to graduate students who have written an outstanding proposal for the conference presentation. This piece introduces the award selection process and the six award winners from AAAL 2018. Read More. From the Public Affairs & Engagement Committee (PAEC): The Public Affairs & Engagement Committee (PAEC) is a AAAL standing committee that was formed in December 2016. It provides “an important means by which AAAL members can bring their collective expertise to bear on issues of social importance and inform public debate by speaking to issues of social and professional relevance” (AAAL Standing Rules). Read More. 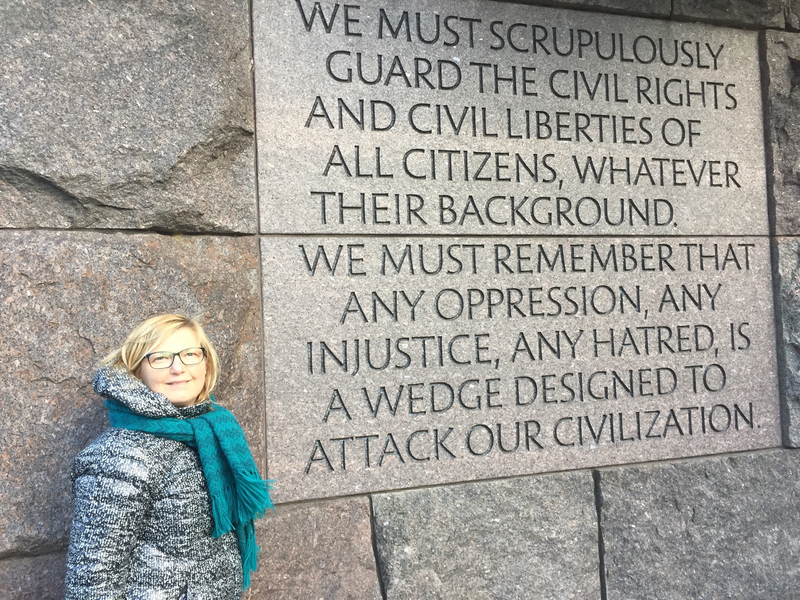 Member Spotlight: In this issue of the AAALetter, I have asked Carolin Fuch to share more about her background with the AAAL membership, as she will be contributing important leadership to AAAL as Chair of the AAAL Ad Hoc Committee on Online Education and Outreach, which our President, Linda Harklau convened this past July 2018. Read More. Procedures for Submitting Resolutions: The resolution process is an important means by which AAAL members can make their voices heard on issues internal to AAAL’s governance and operations. Read More. Welcome to the Fall issue of the AAAletter! In this issue, our President Linda Harklau discusses challenges and opportunities for AAAL, and introduces new initiatives members of Executive Committee (EC) and others are working on! Our 1st VP and Conference Chair, Laura Collins, offers a pre-view of the upcoming AAAL conference in Atlanta. She discusses both current and future work. In my role as Secretary, I take an opportunity to offer you an AILA update and present to you our elections results. The GSC Council also offers an update on the great work that graduate students are conducting, and the Chair of PAEC discusses, on a separate contribution, ways to get involved. 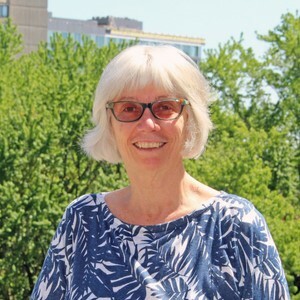 In connection to Linda’s update, I take the opportunity to highlight one of our AAAL members, Carolin Fuchs, who has been charged with providing leadership as Chair of the AAAL Ad Hoc Committee on Online Education and Outreach. Last but not least, if you did not have a chance to attend this year’s AAAL conference in Chicago, please, be sure to check out our webpage where you will find a recording of Suresh Canagarajah, recipient of the Distinguished Scholarship and Service Award (DSSA). For your convenience, here is a link to it: https://www.aaal.org/suresh-canagarajah-dssa-lecture It is a presentation that you do not want to miss, and (if not done so already) I also invite you to visit our April 2018 of the AAALetter for an interview with him. Please, share these pieces with other colleagues and students. They are inspirational! Happy new academic year to those of us in North America and Europe, and I hope the year is going well for those of you in other parts of the world. AAAL has been very busy behind the scenes this spring and summer. First, we have transitioned to a new website. Kudos to our very capable business office staff who made this change with minimal disruption to the membership. AAAL has also adopted a new conference proposal management system. This has been a big change, but it was also long overdue. While there will undoubtedly be a few glitches and surprises in the coming year, I’m confident this will be a big improvement. Laura Collins, First Vice President and Conference Chair, and her conference team have done an admirable job of preparing for the new system on top of her already significant responsibilities for the Atlanta 2019 conference. Beyond these routine but vital administrative changes, AAAL also has some bigger issues to consider. As an association we are at a bit of a crossroads. For one thing, the AAAL conference, a defining activity of the association, has been quite successful and is undoubtedly a major international conference. But our success also poses a dilemma. While conference proposal numbers have been rising steadily, we have the same amount of conference space and time to work with. As a result, last year we had to turn away about half of the submitted proposals. So what options do we have here? In surveys, members often say that they prize the small and intimate feel of AAAL. Also, AAAL has reached the capacity of many conference hotels to hold a self-contained four-day conference. We have a choice then—should the conference remain its current size with high selectivity of proposals, or do we expand the conference by adding days or hosting it in larger venues such as convention centers? That will be one topic of discussion at this year’s mid-year meeting of AAAL’s Executive Committee to be held in Atlanta in October. Another major issue that we continue to address is how to make AAAL more inclusive and diverse, and to build community beyond attending the conference. Following up on last year’s task force on diversity issues, we have focused on students and early career faculty as a crucial point of entry into the profession. Peter De Costa has been tasked with chairing an ad hoc committee to develop ideas for how AAAL can foster mentoring and diversity. The committee’s report is due shortly and will be taken up by the Executive Committee at our next meeting. We will also be discussing how to make the conference more family friendly and more welcoming to those with mobility issues. We also continue to explore ways to make AAAL membership and virtual conference attendance more accessible to scholars for whom full participation may be cost prohibitive. With the advent of the new site, and following up on a member survey conducted last year, we have also taken the opportunity to launch a new ad hoc committee that will help guide us on ideas for new online education and outreach content. Carolin Fuchs has agreed to chair this committee, which will make its recommendations next spring. Lastly, in the spirit of inclusiveness, I urge everyone to make your opinions known and volunteer for positions in AAAL. First, vote in AAAL’s elections. The leadership you select is very consequential for the future direction of the association in years to come. Second, use the space provided at the end of the annual election ballot to nominate yourself or others to serve in AAAL as a proposal reviewer or strand coordinator, a committee member, or in the association leadership. Look for the ballot in early summer every year. Also, fill out the member surveys that come your way. The Executive Committee pays close attention to the responses to these surveys, but less than 15% of the membership responded to the last survey. Another way to get involved is to participate in initiatives sponsored by AAAL’s Public Affairs and Outreach Committee and attend the annual Public Affairs Event at the Atlanta conference. If you are a graduate student, get involved in AAAL’s dynamic Graduate Student Council. It may sound trite, but it is nonetheless true that AAAL depends on the generosity of hundreds of members who give their time as unpaid volunteers, and we need the contributions of many to keep the association vibrant. Nick Ellis, University of Michigan: “Usage-based Language Acquisition: Implicit and Explicit Learning and Their Interface"
Two pre-conference workshops will be scheduled on the afternoon of Friday March 8. We have chosen topics and invited workshop leaders that we believe will interest both graduate students and established scholars. Dr. Jenifer Larson-Hall from the University of Kitakyushu will give a session designed to enable participants to showcase their research in novel, effective ways. Her workshop is entitled “Creating data accountable graphics: Changing how you display your data changes the way your data are understood”. Dr. Teresa Hernández González from Concordia University in Montreal will give a session on gamification principles and techniques applied to research design, language pedagogy, and language assessment. Her workshop is entitled: “More than points and badges: Using gamification to “level up” research, task design, and assessment”. There will also be talks by the recipients of the Distinguished Scholarship and Service and Distinguished Public Service Awards, and the events currently being planned by the Graduate Student Council. And, of course, there will be the hundreds of papers, colloquia, roundtables, and poster sessions that make up the bulk of the program. Indeed, we are currently in the midst of reviewing proposals for presentations for the conference, with the aid of 23 strand coordinators and hundreds of reviewers who have generously offered their time and expertise. They are supported by my superb conference organizing and planning team: colleagues Dr. Mela Sarkar (McGill University) and Dr. Walcir Cardoso (Concordia University), and Concordia University doctoral students June Ruivivar (Associate Chair and Strand Coordinator Liason), Clinton Hendry, and Lauren Strachan. This review process is being accomplished through our brand new proposal system, put together for us by Confex, accessed through our brand new website platform! There were some delays launching the system, some transition time as members changed their passwords to log onto the new platform, and, as was to be expected, some glitches in the proposal platform as the review process began. However, we have been pleased with the rapid response of Confex and the continued vigilance of our AAAL management team in addressing the issues as they have arisen. We also appreciate the patience and professionalism of the strand coordinators and reviewers as the first-time users of the system. Many have taken the time to comment favourably on the improved aspects they have noted. We were pleased to see a number of submissions to the two new strands: Teacher Education, Beliefs, and Identity (TED) and Phonology/Phonetics and Oral Communication (POC). These strands were created in response to comments from previous strand coordinators and reviewers on the need to break up the two very large SLA and Pedagogy strands. We are also delighted to announce that Georgia State University will be hosting a reception on their campus for AAAL attendees on the evening of Sunday March, 10. The campus is just a few-minute walk from the conference venue. Watch this space for further details on this and additional conference activities and events being planned for AAAL 2019 in Atlanta. Of notable importance is the effort that AILA is undertaking to position itself as “the global organization in our field—a field of high social relevance” as stated by President Daneil Perrin. At the meeting, he discussed “Measures to develop outreach and impact” through the formation of four workgroups that will address: Interweaving academic networks; endorsing socially relevant policies; deepening strategic collaboration; and leveraging the World of the Year initiatives. President Perry also discussed measures that are intended to develop the potential of AILA: “fundraising for and launching the interactive AILA website; enacting the AILA Multilingual Matters Library Award; preparing the AILA OASIS partnership for research and dissemination; outlining the AILA affiliates tandem initiative; and establishing annual discussions with national affiliates at their congresses.” The meeting concluded with the touring of the Convention Center where the next AILA Congress will take place. Groningen, an exciting university town, will likely capture the interest and fascination of attendees. I certainly look forward to it! International Association of Applied Linguistics will take place on August 9-14, 2020, in Groningen, the Netherlands! Congratulations go to all members elected, and thanks are extended to everyone who put forward his/her name for consideration. AAAL has plenty of opportunities for involvement so individuals interested in involvement should not hesitate to reach out to us to keep them in mind as our work evolves! Lara Bryfonski, ARAL Editorial Assistant for 2016 & 2018. ARAL has gone from strength to strength on the basis of the work of its contributors. Ron Darvin and Bonny Norton won the TESOL International Award for Distinguished Research for their article “Identity and a Model of Investment in Applied Linguistics” in 2016, and Andrea Révész and Laura Gurzynski-Weiss won the same award for their article “Teachers’ Perspectives on Second Language Task Difficulty: Insights From Think-Alouds and Eye Tracking” for their article in 2017. Congratulations to all! For the first time in ARAL’s publication history, we began in 2016 to include articles that reported on empirical data, along with the traditional review-only articles and position pieces. In 2018 we have made two more updates. First, we now include a section of short papers (up to 2,000 words, as opposed to the usual 6-8,000 words). These papers concisely examine a variety of current issues in international language learning. Second, in another first for ARAL, in this short paper section, each issue will now include a student-only authored article, alongside the papers from seasoned researchers. As it has always done, ARAL’s editorial board selects topics, themes and invited contributors, while every article that appears in ARAL is fully reviewed by at least two international experts in the field. We take this opportunity to thank all these hard-working reviewers and editorial assistants! Another new development introduced with the 2018 volume is that authors are now able to qualify for an open materials badge (via disclosure) by uploading their materials to IRIS (Instrument Repository for Research into Second Languages) or any other permanent online repository, and by complying with the Center for Open Science initiative’s TOP (Transparency and Openness Promotion) Guidelines, self-described as “a community-driven effort to align scientific ideals with actual practices.” ARAL supports open science, and recognizes it as an important development in the field. Volume 38 (2018) is on International Language Learning with articles available through FirstView. The volume explores this theme through research carried out in highly varied settings, including the multiple study abroad contexts for secondary and tertiary education students; home environments; policy and theory as it relates to international language learning and teaching, including (im)migration and transnational research, as well as meta-analytic and synthesis work on international educational outcomes. Contributors to the 2018 international issue include Dan P. Dewey, R. Kirk Belnap and Patrick Steffen; Judith Kroll, Paola Dussias, and María Teresa Bajo Molina; Celeste S. Kinginger and Qian Wu; Naoko Taguchi and Noriko Ishihara; Li Wei and Wing Yee (Jenifer) Ho; Lara Bryfonski and Cristina Sanz; Hang Du; and ZhaoHong Han. The short papers are written by Kendall King and Martha Bigelow; Sheena Shah; Shondel J. Nero. The student contribution came from Hasibe Kahraman and Ashleigh Pipes and based on data they collected in Turkey. In these 2018 articles, authors investigated international language learning in a wide range of contexts including: Arabic learners in Jordan, ethnic minority students in China, American study abroad students in Spain, teacher training in The Dominican Republic, L3 teachers in Turkey, and East African students in the U.S., along with syntheses that cover a range of contexts. Our authors come from universities in the U.S., the U.K., Canada, Japan, Spain, South Africa and Turkey. The focus of the 2017 issue was Younger Second Language Learners, and it explored the theme of child second language acquisition from a wide range of disciplinary perspectives in varied contexts. 2017 was one of the largest issues to date with a long and distinguished contributor list. All topics covered by ARAL in its previous 38 years of its history can be found on the website (https://www.cambridge.org/core/journals/annual-review-of-applied-linguistics). We are also excited to announce the upcoming (2019) volume will be on the topic of Technology in Applied Linguistics Research. We’ll have more updates about the contents of this issue in the next AAAL newsletter. Each year AAAL confers awards to graduate students who have written an outstanding proposal for the conference presentation. This piece introduces the award selection process and the six award winners from AAAL 2018. All graduate students who submit a proposal for a single-authored paper are eligible to apply for the award. The application is invitation-based—that is, the 20 top-ranked conference proposals by graduate students are invited to apply for the award. Six graduate students have been selected each year but AAAL, along with the GSC steering committee, is making every effort to increase the number of awards. You may find additional information on the award at the AAAL website. The conference can often be a hectic time to learn more about the award recipients. This section features this year’s six graduate student awardees to give more of the recognition they deserve. Below includes each winner’s bio and short summary of their award-winning paper. Angelica is Assistant Professor in Applied Linguistics at Concordia University. She completed her Ph.D. in Language and Literacies Education at OISE/University of Toronto. Her research titled Monolingual or Plurilingual? An experimental study investigating the effects of plurilingual instruction in an EAP program at a Canadian university was the recipient of the 2018 AAAL Multilingual Matters award and investigated affordances and challenges of plurilingual instruction compared to monolingual instruction. Results suggest that plurilingual instruction is more effective than monolingual instruction on several dimensions, including the development of plurilingual and pluricultural competence (PPC), cognition, and empathy, among other factors. Alexandra holds an M.A. from the Universidad de Salamanca, and an M.S. and Ph.D. in Second Language Acquisition (SLA) from Georgetown University. Her main research interests are SLA through technology and Heritage Language Learners. This award-winning study was the pilot study for her dissertation. It was a between-subjects, pre-immediate-delayed posttest study (n=23) that investigated L2 learning through text-based and video-based Synchronous Computer-Mediated Communication (SCMC) vs. Face-to-Face instruction, and the potential effects of Working Memory (WM). Results showed that learners in the text-based SCMC group showed higher scores in oral and written tests and that WM did not seem to explain variance in gains. 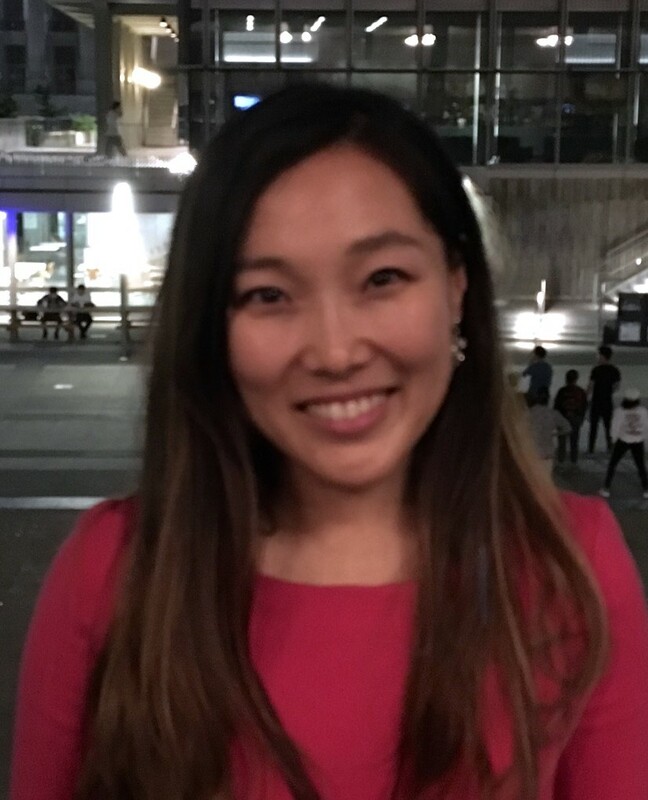 Hyeyoon is a Ph.D. candidate at Language and Literacies Education program in the OISE, University of Toronto, and she teaches ESL and the Korean language. Her research interests include second language writing, computer-assisted language learning, and sociocultural theory. At the 2018 AAAL conference, Hyeyoon’s presentation on key portions of her dissertation revealed that modes of communication, task representation, and matches/mismatches between participants’ self- and other-perceived roles were the primary mediating factors on the qualities of collaboration in synchronous web-based collaborative writing. These findings may provide insight into how web-based collaborative writing activities can be designed and facilitated in L2 classes. Jeffrey is a recent graduate from the Second Language Studies Ph.D. program at Michigan State University. His primary interests include computer assisted language learning and language teacher training. This research project is a multiple case study examining the impact of the Fulbright Foreign Language Teaching Assistant (FLTA) program on five participant’s knowledge and use of CALL technologies and practices. Their experiences were examined using an extended version of the Technological, Pedagogical and Content Knowledge (TPACK) framework across two semesters in the United States. Findings illuminate how contextual factors across multiple levels came together to both enhance and hinder knowledge construction. Junichi Yagi is a Ph.D. student in Second Language Studies at the University of Hawai’i at Mānoa. His research mostly focuses on a ‘performative’ aspect of second language interactions in non-verbal domains. Currently, he is interested in how participants from different linguistic backgrounds jointly accomplish music and sports as a social practice through their in situ, methodical deployment of language and other embodied semiotic resources (e.g., gesture, eye gaze). His award-winning paper (AAAL 2018) illustrated how enactment could be used by L2 speakers as a method of explaining an unfamiliar Japanese word in a lunch-table conversation. Leah is a second-year PhD student in Second Language Education at the University of Minnesota. 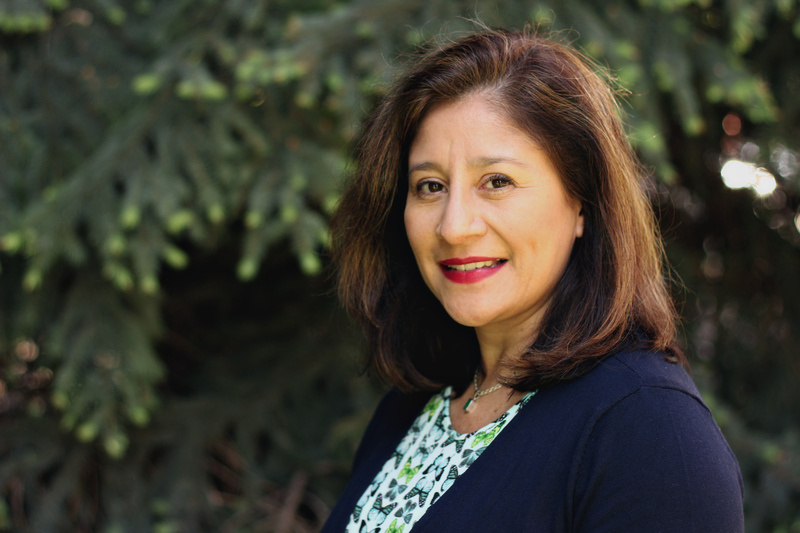 A former elementary ESL teacher, her research focuses on the literacy learning processes and interactions of emergent multilinguals in the classroom. Her study explores the inference-making processes of second-grade English learners in an English-as-an-additional language classroom. Results highlight the contextual nature of inferring with different texts and the various strategies and resources students drew-upon in their inference-making. Implications include examining reading comprehension with multilinguals from critical and sociocultural frameworks, as well as integrating culturally- and linguistically-sustaining pedagogies during reading with younger emergent multilinguals. Rayoung (Rae) Song is a Ph.D. candidate in language, literacy, and culture in the College of Education at the University of Massachusetts Amherst. She serves as the co-chair of the GSC Steering Committee. Her responsibilities include planning and leading Steering Committee meetings, overseeing the two graduate student events at the AAAL conference, and collaborating with the AAAL conference planning committee. The Public Affairs & Engagement Committee (PAEC) is a AAAL standing committee that was formed in December 2016. It provides “an important means by which AAAL members can bring their collective expertise to bear on issues of social importance and inform public debate by speaking to issues of social and professional relevance” (AAAL Standing Rules). The PAEC is charged with engaging AAAL in the public domain. This can be accomplished by (a) preparing and proposing position statements; (b)processing position statements submitted by the general membership; (c)recommending for endorsement position statements/resolutions issued by other organizations; (d) organizing an annual public affairs event; and (e) other outreach activities (e.g., interviews, op-ed pieces, blog posts, social media outreach, other means of communicating with the public) (AAAL Standing Rules). The PAEC provides a set of interdisciplinary applied linguistics perspectives on issues of public concern. We take a collaborative approach to initiatives moving forward, seeking to facilitate projects that are critical to AAAL members and tackle relevant social issues of the day. We also see ourselves as a resource for consultation and facilitation as AAAL members conceptualize which issues to address, why, and how. We encourage AAAL members to join the Applied Linguistics & Social Justice listserv (150 members strong). This is an online collaborative space for sharing ideas, resources, publications, and initiatives focused on applied linguistics and social justice. If you would like to be added to this list, please contact the AAAL Public Affairs & Outreach Committee Chair Netta Avineri (PAEC@AAAL.org). AAAL members can also get in touch with ideas for projects and initiatives of social concern. Please feel free to contact Netta Avineri at paec@aaal.org with your ideas! The Public Affairs & Engagement Committee (PAEC) is also encouraging AAAL members to create "Applied Linguistics Briefs.” These briefs are 1-2 page summaries of applied linguistics topics of interest to the general public. Below is more information about the Applied Linguistics Briefs. Description: A 1-2 page resource/high level summary. Can link to/be a subset of a long reference. If you have questions and/or are interested in potentially writing or collaborating on an Applied Linguistics Brief please send a note to NettaAvineri (paec@aaal.org). The PAEC is happy to facilitate the writing process for the briefs. 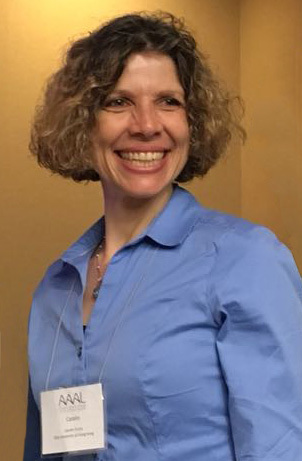 In this issue of the AAALetter, I have asked Carolin Fuch to share more about her background with the AAAL membership, as she will be contributing important leadership to AAAL as Chair of the AAAL Ad Hoc Committee on Online Education and Outreach, which our President, Linda Harklau convened this past July 2018. Carolin Fuchs is Assistant Professor in the Department of English at City University of Hong Kong. She received her M.A. in TESOL from the Middlebury Institute of International Studies at Monterey and her Ph.D. in English Studies from the Justus-Liebig University Giessen. 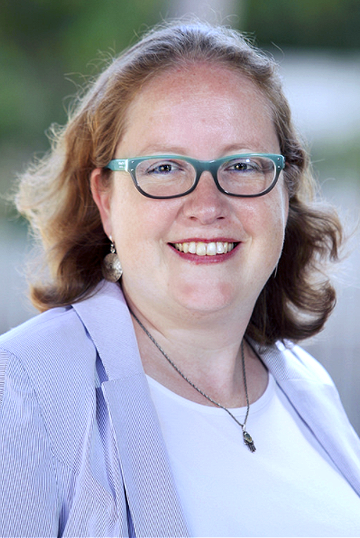 Carolin’s research interests lie at the intersection of technology and language education, with a focus on virtual exchanges (telecollaboration), learner autonomy, online teaching, and task design. She has taught at the City University of Hong Kong; Teachers College, Columbia University; University of California—Berkeley, and Middlebury Institute of International Studies at Monterey. Her work has been published in CALICO, CALL, Language Learning & Technology, ReCALL, and TESOL Quarterly. She is one of the Editors-in-Chief of the Journal of Virtual Exchange (https://journal.unicollaboration.org/) and serves as First Publications Officer for UNICollaboration (https://www.unicollaboration.org/), an interdisciplinary professional organization for telecollaboration and virtual exchange; she also served as Editor of the NYS TESOL Journal. A regular reviewer of conference proposals, she has served twice as Technology Strand Coordinator. Prior to serving as Chair of the AAAL Graduate Student Award (GSA) in 2010–2012, she was on the Reviewer Committee for the GSA. I feel fortunate to have been able to attend the AAAL annual conference since 2006 because I owe many of my virtual exchange projects to the conference’s international draw and appeal. Telecollaborating with colleagues and students around the globe for almost 20 years has helped me gain increased awareness of and heightened insight into other cultures, languages, learning cultures, and socio-institutional contexts, and I am always seeking project collaborators to pursue these interests; AAAL is typically where I can find them. For example, a Taiwanese scholar introduced herself to me at a session a few years back, and our classes collaborated for two subsequent years. I salute the commitment and dedication of my colleagues from across the world that allows AAAL to provide a deeply rewarding experience to the community. Though “American” begins the name, AAAL attracts scholars from over 50 countries worldwide, and 25 percent of its members come from outside the United States. To reach out to those members who may not be able to attend on a regular basis, AAAL has recently founded the Ad Hoc Committee on Online Education and Outreach. The committee is tasked with the vital work of promoting and facilitating virtual access to AAAL’s scholarly community. I am honored to serve as chair of this committee, and pleased to introduce its members: Michael Amory, The Pennsylvania State University; James Coda, The University of Georgia: Sébastien Dubreil, Carnegie Mellon University; Christoph Hafner, City University of Hong Kong; Yu Jung Han, The University of Rochester; Mirjam Hauck, The Open University; Meei-Ling Liaw, National Taichung University of Education; David Malinowski, San José State University; Robert O’Dowd, Universidad de Léon; and Constanza Tolosa, The University of Auckland. In order to help us liaise with AAAL’s Executive Committee, Fabiola Ehlers-Zavala, INTO Colorado State University will also work with us. With this exciting and critical initiative, we seek to strengthen existing opportunities for scholarly and professional networking by creating new channels for communication; results from the most recent AAAL member survey showed increased interest in online educational content and outreach materials. We thus see as our primary goals providing access to resources for professional development in supporting educators, and creating a wider dissemination of theoretical and empirical research generated by scholars across the globe. In addition, in accordance with the objectives set forth in the AAAL strategic plan, we intend to make specific recommendations, linked through our homepage, for identifying and making accessible, specific web content to the wider public. Our committee is also planning to continue building on existing social media platforms such as Twitter (https://twitter.com/aaalinks?lang=en) and Facebook (https://www.facebook.com/AAALORG/), and to bundle our online and international expertise in a commitment to create new and connect existing virtual communities of practice. We are also hoping to contribute to the discussions currently underway to reach scholars from different financial and scholarly situations. As I look to the promising year ahead for the field of applied linguistics, I warmly thank all members on the committee for joining me, with skill and enthusiasm, in helping to move this much-needed initiative forward in the coming months. I am particularly excited about including members from the Graduate Student Council (https://www.aaal-gsc.org/) and look forward to synchronizing our outreach activities. Finally, and above all, I very much appreciate this opportunity to both serve AAAL and work with a talented and distinguished team of colleagues as we foster online access and resources widely and comprehensively. Click here for information on the procedures for submitting resolutions.